I'm so happy that the chillier weather is back aren't you? I almost giddy inside with anticipation for these fall months. I can't wait to pull out all my sweaters and comfy socks. See ya later shorts and t-shirts, I've got some cozing up to do! One of my most favorite things about fall is digging into my comfort food folder. It's filled with soups, stews and casseroles, all the things I've been missing these past summer months. My friend Mitch and I can't even say "soups, stews and casseroles" without laughing. Those three words have kind of turned into a little mantra for us. He'll say "what's so great about fall Miss Lisa?" and I'll yell "soups, stews and casseroles!" So it's become sort of a joke with us....a very delicious joke. I've got a bunch of recipes that have fall written all over them. I can hardly wait to share them all with you. 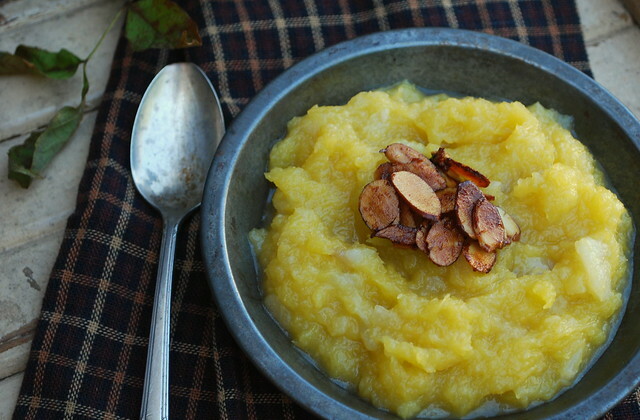 Let's start off slow with a side dish....this Acorn Squash & Pear Puree is just perfect. I'm a squash lover, so any dish that includes it makes me happy. Add in a little pear for sweetness, even better. *I halved this recipe cause I'm on the only one in my house who lives squash of any kind. I too am the only one in the house that likes squash. This goes for Salmon also. But I do still cook both in small quantities! Thanks for the recipe. I'm singing the same song! Only, it's our Indian Summer, so I have to wait more towards November before I get excited about these comfort foods. I confess, I don't like most autumn squash. HOWEVER, I made a butternut squash and apple soup, that changed my world. I think this one would, too. It sounds wonderful and I definitely hope to give this one a good try. I love acorn squash. We normally just add butter and brown sugar. I am so going to try this recipe. 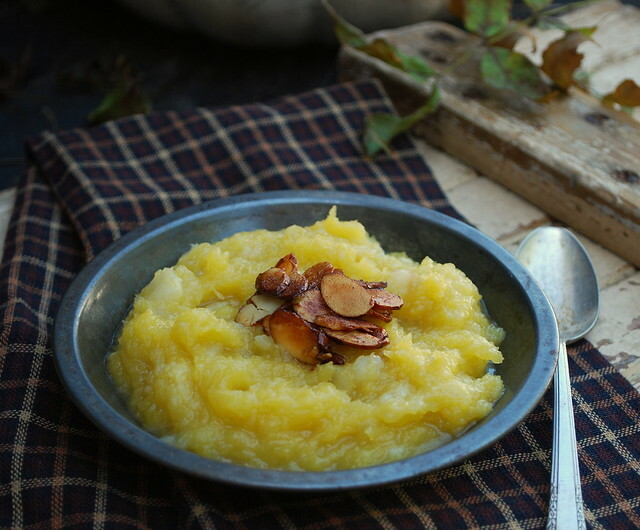 It just is a perfect fall dish!